On January 7, 1989, the following headline appeared in The Bay City Times: "Two Women First to Join Local Rotary Club." 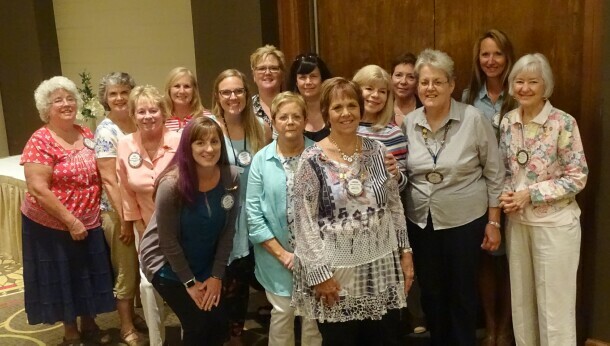 On that day, Linda Heemstra, then director of the Bay County Library System, and Joy Gaasch, then director of the Bay County Growth Alliance, were the first women inducted into The Rotary Club of Bay City. The club, formed in 1914, had consisted solely of men until 1989 when, after 25 years of legal battles in Superior and Supreme Courts, the Rotary International Council on Legislation voted to eliminate the requirement that membership in Rotary be limited to males. The role of women in Rotary had been discussed since the formation of the National Association of Rotary Clubs, but their participation was limited to occasional social events to which the Rotarians' wives were invited. Despite the fact that several women's Rotary clubs were formed, the opponents of female membership ruled each time the matter came up and referred the request to the RI Board of Directors. The Rotary Club of Bay City had some dissension when discussions heated up in the 1980's regarding the admittance of women members. Many Bay City Rotarians were adamant about maintaining an all male service club and, to avoid mixing genders, several broke off to form the Bay City Morning Rotary Club - a club that now has just as many women as men members. During Rotary's first 84 years, the wives and daughters of Rotarians played a vital role in the organization's success - regardless of whether they belonged to a formal auxiliary. Wives of club members worked alongside them in projects, were equal partners in their financial support, and were often the driving force in urging their spouses to take an active role in the organization's leadership and humanitarian projects. 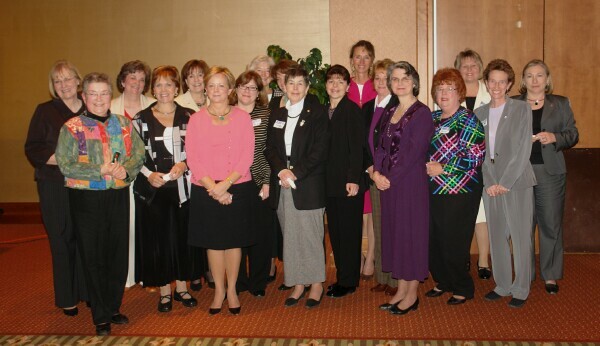 Since 1989, The Rotary Club of Bay City has inducted many women who actively participate in all four avenues of service. Many have assumed leadership positions including club presidency, secretary and treasurer. Patricia Vance was inducted as the first woman president in July of 1993. Cindy Chadwick was the second president in 1998, and Kathy Czerwinski was the third in 2002. Kathy Laethem was club treasurer from 1997 to 2003 and Wanda Dziwura followed her as treasurer in 2003. Barbara Fisher became club secretary in 2002 after the passing of Carl Hendershot. As far as the impact of women in the club - most would agree it has been very positive.